People often say that their mum ‘is one in a million’, but in Fiona Geaves’ case it was so very true. Geaves is the super talented squash player who has made a living out of the sport she loves by playing and coaching in all parts of the world for more than 30 years. Now 50, she is certainly one of the best players ever produced by this country and at one stage in the 1990s was ranked number five in the world. 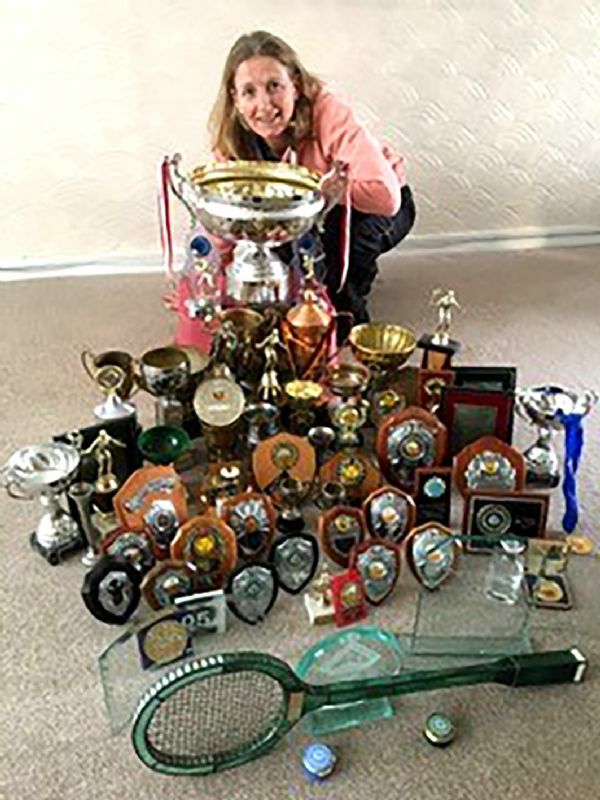 That’s some achievement, of course, but Geaves, born and bred in Gloucester and these days a coach at East Glos Club in Cheltenham, says that none of the success she’s enjoyed would have been possible without her mum, Jan Geaves. And it was tough at times, as Geaves recalls. “We were a one-parent family and Mum needed an extra job,” she added. As it happened, Mum found a bar job at the Riverside Sports and Leisure Club in Gloucester and that was the key to the door that opened Geaves to the wonderful world that is squash. “We got dragged down there reluctantly,” chuckled Geaves. “But we ended up on the squash courts. I played a bit and thought, ‘I love this game’. And as it soon became apparent that she was pretty good, her mum, who sadly passed away last year, would drive her all over the country so that she could pursue her passion. Fiona’s brother, who these days lives in Surrey, was pretty good too – good enough to play junior county level for Gloucestershire – and he still plays a bit today. Geaves, who was educated at Dinglewell Junior School in Hucclecote before moving to what was then Brockworth Comprehensive, got her first big squash break when she was 18. “I’d been playing in the Bundesliga Squash League and the guy who sponsored our team knew I wanted to be a professional,” she said. “And he said he’d pay for me to travel to compete in the New Zealand World Open and Singapore and Malaysia after. “The World Open was amazing, it was my first big tournament and I did well. I got to the last 16 and it gave me a world ranking. “I was unseeded and beat the No 16 seed to reach the last 16, which was pretty amazing for my first ever World Open. “I played some of the other tournaments in Singapore and Malaysia, I was very lucky because a lot of women couldn’t afford to compete in these events. “And because I had a world ranking it was easier to get into tournaments. It was then that I thought, ‘Why not give it a go and turn professional?’. 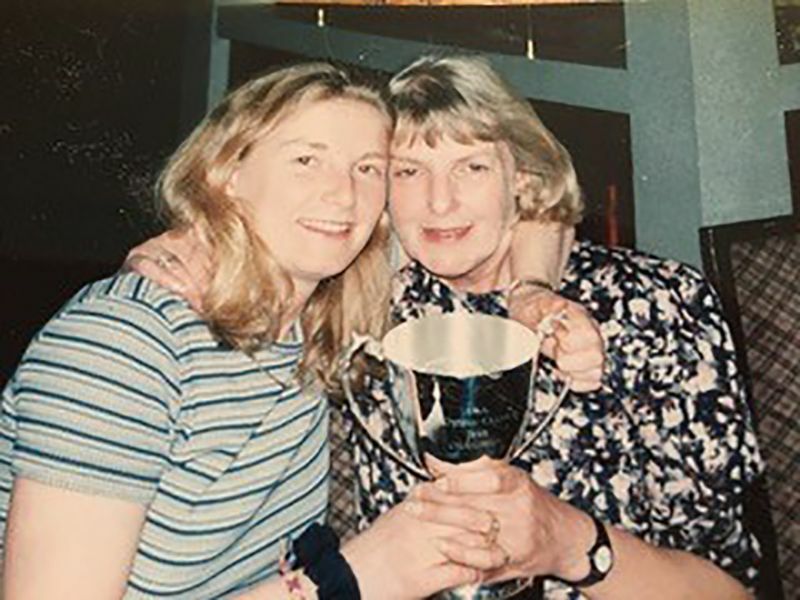 And with the support of her mum – “We were very close, she was amazing,” said Fiona – and generous sponsors such as members of Riverside and the club itself, she did and it’s a decision that she has never regretted for one minute. She’s won some big tournaments over the years, including the Monte Carlo Open where she was presented with the trophy by Prince Albert of Monaco. “It was a massive trophy, ginormous,” laughed Geaves, who also won a big tournament in Las Vegas. “That’s a great place to play squash,” she added. Closer to home she has great memories of being crowned national champion in 1995. Lucy Soutter, who lived just a few miles from Geaves In Cirencester, was one of her big on-court rivals back in the day. “We were friendly rivals,” Geaves said of a player who at one stage was ranked number two in the world. And achieve Geaves certainly did – she won two bronze medals at the Commonwealth Games in Manchester in 2002 – in a career that is notable not only for its wins but also for its longevity in a sport where supreme fitness is just one of many essentials. While that double in Manchester is obviously one of the career highlights, it’s not the highlight in terms of location. “That has to be Cairo,” she said. “We played on a glass court in front of the pyramids, that was fantastic. “I loved Egypt and the Middle East, it’s the history behind it. It’s pretty obvious that Geaves is one of those top-level sports people who likes to get out and explore when she’s playing abroad so it comes as no surprise that in the mid-noughties she upped sticks and moved to New York for four years. “I was still in the top 12 in the world but it was getting more difficult to cover my expenses,” she said. “I’d won a tournament in New York and I got offered a job as an assistant coach at the Height Casino Club in New York. And she certainly enjoyed her time in the Big Apple because after two years she was made director of squash. “I loved it, it was the best move I ever made,” she said. “It was like home from home. The club and the people were absolutely amazing, they were so supportive. “They didn’t see me as a coach, they saw me as family. I was spoilt rotten! Geaves was still playing part-time on the international squash circuit for her first couple of years in the US, but in 2007 decided to call time on her playing career. She managed that of course and her coaching career has been pretty impressive too because when she returned to this country in 2009 she worked as a junior national performance coach for Squash England. She worked with the juniors and seniors, a role that took her to New Zealand for the world team championships and to Delhi for the Commonwealth Games. She left the position three years ago – “I’d had enough of the travelling and wanted to be near Mum” – and has pretty much been coaching at East Glos ever since, a club that is just round the corner from where she now lives. Squash was, is and in all likelihood always will be a huge part of Geaves’ life. Successful and modest with it, Fiona Geaves is a very nice lady.